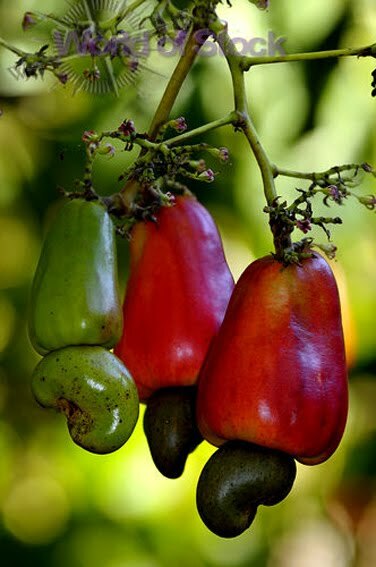 Cashews aren’t really nuts but seeds that grow at the base of cashew apples. The seed (which, by itself, is not poisonous) is encased in a shell which is surrounded by an oily and toxic skin irritant that has to be roasted or steamed off properly to make the cashew itself suitable for consumption. 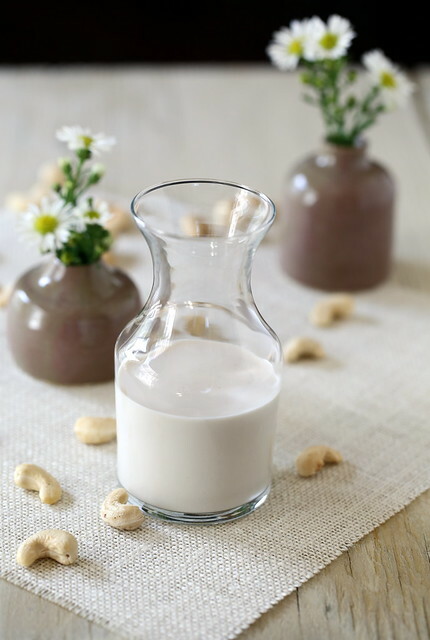 Raw cashews are seeds that have been steamed instead of roasted, which give them that soft and creamy texture that’s perfect for making cashew cream. 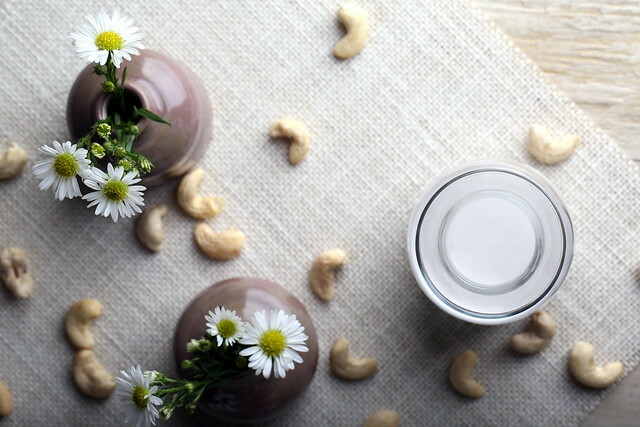 Cashew cream, which is made from raw cashews and water, is one of the most versatile ingredients in a vegan kitchen. It can have a thick or thin consistency depending on the amount of water that’s added to it, then simply stirred into sauces, desserts, dressings, dips or anything that relies on a creamy note. Since it has no real dominant taste, it doesn’t compete with other flavors in a dish; rather, it just imparts some fat and richness into anything it’s combined with. Although nothing is more basic than combining two ingredients together, I like to add a little coconut milk and coconut vinegar to cashew cream to introduce an extra subtle note of richness and acidity. This is perfect for using in an array of creamy applications, like mac and cheese, alfredo and tomato-based sauces, and any other savory or sweet sauce recipes that call for heavy cream or whole milk. Drain and rinse the cashews well. Place them into a blender with the ½ cup water and puree until smooth and there’s no grit when you rub the mixture between your fingers, then add in the coconut cream and coconut vinegar, blending again. The cream will last a few days in the refrigerator. Does it hold up to freezing? I've never tried that, but don't see why not. This sounds like a lovely creamer! I love Cashew Cream. Delicious sounding twist to the traditional. I will have to try. Thaks! wow! what a great idea to add a little coconut vinegar. I can't wait to try this out. The first time I saw cashew fruits was in South India and my mind was BLOWN. We actually got to eat some of the fruits and they were really good! super soft like nectarines, but a bit less sweet … I gotta go back! Oh wow I've never heard of coconut vinegar. I've just discovered your blog and I'm so enjoying working my way through everything! I think I am now obsessed with cashew cream! I cannot believe how rich, creamy, and convincing the taste and texture are, as well as how versatile a staple for so many recipes. This was one giant step into increasing my dedication to a vegan lifestyle. I mentioned in an earlier post that I have been making a lot of soups due to the blustery Okinawa weather. The other night I used this cashew cream to make a rich and creamy trifecta mushroom soup. Sooo simple and delicious! Thank you! I know, it still stuns me every time I make this (and I've made this a lot), how similar it tastes to dairy-based cream, which I still crave on some level, but could never bring myself to ever having again. I believe Chef Tal Ronnen was the first one to try this, and I'm so glad he did! Hi, What is the purpose of adding the coconut vinegar? Thanks. 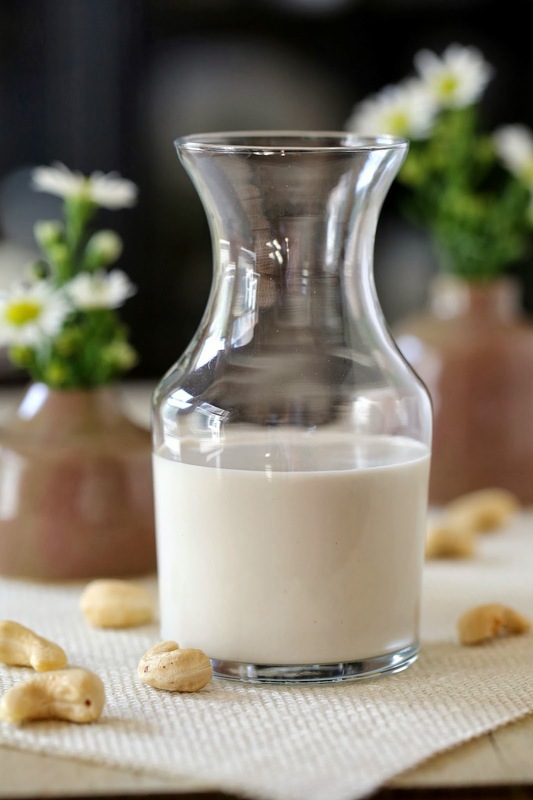 It's serves to neutralize the sweetness of the cashews as well as impart a subtle richness, similar to dairy-based cream. I know when I made your mint pea soup, I used your recipe for cashew cream that had miso and mayo. Now, I’m freaking out because I can’t find it anywhere and it was by far the most delicious I had ever had. Would you possibly happen to have it up somewhere and, if not, can I please ask you for it because that was a huge breakthrough for me? Heading Back Home to Boston!